Josephine Wyatt, fighter for African American freedom and socialism remembered | Fight Back! 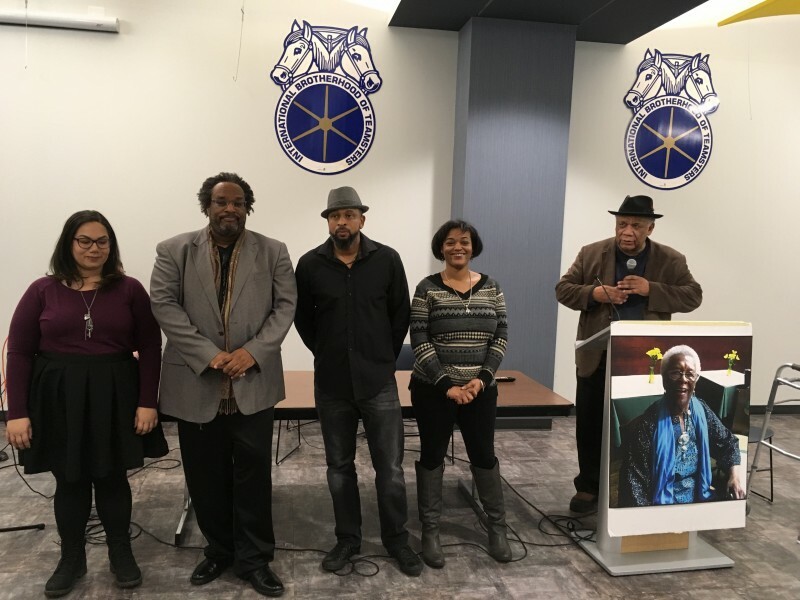 Chicago, IL - A memorial was held, Nov. 11, where friends, family, and comrades of Josephine Wyatt gathered to remember her 95 years of life and struggle. Among the speeches about her life was a video from Angela Davis. Josephine had been tireless in the campaign to free Angela Davis and all political prisoners in the early 1970s. She was at the founding convention of the National Alliance Against Racist and Political Repression, which grew out of the struggle for Davis’ freedom in 1973. Josephine continued until her death to be a leader in the Chicago chapter, which became the Chicago Alliance Against Racist and Political Repression when the national organization ended. She was born in Georgia, and moved to Chicago in the 1940s, where she and her husband joined the Communist Party (CP). A number of the speakers, including her son, spoke about the CP and her dedication to it. One of those speakers was Mark Durham, whose 98-year-old mother, Clarice, also spoke about Josephine, her friend of many years. Clarice continues on the leadership body of the Chicago Alliance. Josephine was so dedicated to the struggle for Black freedom that when the CP leadership under Gus Hall greatly de-emphasized the Black National Question in the late 1980s, she left the party and carried on the work in the Chicago Alliance. Years later, she recruited Frank Chapman to become active again in Chicago when he left the CP. The emotional highpoint of the evening was an unexpected speak out from the new activists leading the Chicago Alliance Against Racist and Political Repression. Called upon to share their thoughts about one of the founding revolutionary mothers of the movement, the result was spontaneous reflections and self-assessments by the new generation of leadership about the meaning of their work with the Alliance. 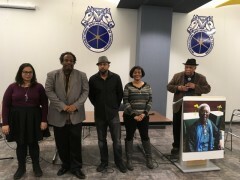 Each of them spoke of their convictions; each shared with the room the passion they have for this struggle, and for an end to the system of oppression. The measure of the success of the memorial was expressed in the depths of their feelings and thoughtful remarks. Nataki Rhodes, an Alliance co-chair talked about her activist history, and the experience of police brutality aimed at her family, and how she got involved in the Alliance and became a leader. She said she “didn’t realize that she was walking in the footsteps of giants” until she learned of the legacy of strong, Black women like Josephine Wyatt, Charlene Mitchell, and Angela Davis that had gone before her. Jeff Baker, also an Alliance co-chair spoke out. With his son present in the room, having himself become an active member of the Alliance in recent months, Jeff compared leading the Alliance with the sense of accomplishment and pride he feels about his relationship with his son. He said he considers himself to be part of the living legacy of Josephine Wyatt. Brian Ragsdale, the Alliance treasurer, told those assembled, that having been an academic, battling against institutional racism, he decided to put his beliefs and his desire to fight for Black people into practice. Joining the Alliance was finding the purpose that he was seeking, and a fulfillment that he didn’t think was possible. Jazmine Salas, co-chair of the Stop Police Crimes organizing committee said her dedication to the work of the Alliance comes from knowing that her Puerto Rican people suffer at the hands of the police just like the Black community. Organizing the movement against police crimes is in the interests of both peoples. Finally, Jeffrey Baker, son of Jeff Baker, was moved to read excerpts from the poem, What Will Your Legacy Be? by Margaret Burroughs, a lifelong comrade of Josephine. The poem was a favorite of Jose-phine’s, and over the decades, she often posed the question to her descendants.